Having a birthday party, a family get together, a wedding, or company picnic? 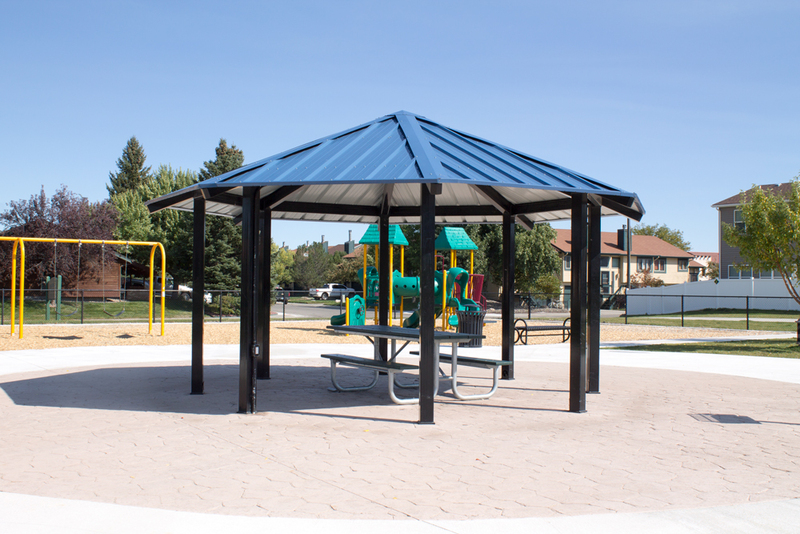 The City of Casper Parks has a wide variety of facilities to fit your needs. The fee for power is $10 where available. Power must be requested at time of reservation. If a function involves the need to drive vehicles on a park, or the need to drive stakes into the ground (examples: bounce houses, tents, games) the applicant must meet with the Parks Division Manager or his representative for specific direction on where vehicles or stakes will be allowed. Staking of any kind is not allowed in Conwell Park. Sometimes the best setting is provided by mother nature. Adorn your celebration with natural decorations-- a mountain backdrop, music from Garden Creek or the river, or beautiful columns of trees. Whether you are planning a wedding, an anniversary celebration, a shower or a graduation party; the City of Casper has a venue for you. Home of the City of Casper Municipal band, the Washington Park Band Shell is also available to rent for concerts, parties, weddings, and more. Washington Park can also be reserved for community events. Planning a large community event? The City of Casper can accommodate your festival, concert, run/walk, or other celebration. Fort Casper Shelter is rented through Fort Caspar Museum. Other fees may apply. Call (307) 235-8462 for information regarding rental. The Bart Rea Learning Circle and picnic tables at Amoco Park are rented through the Platte River Trails Trust. Call (307)577-1206 or visit http://www.platterivertrails.com/ for more information.